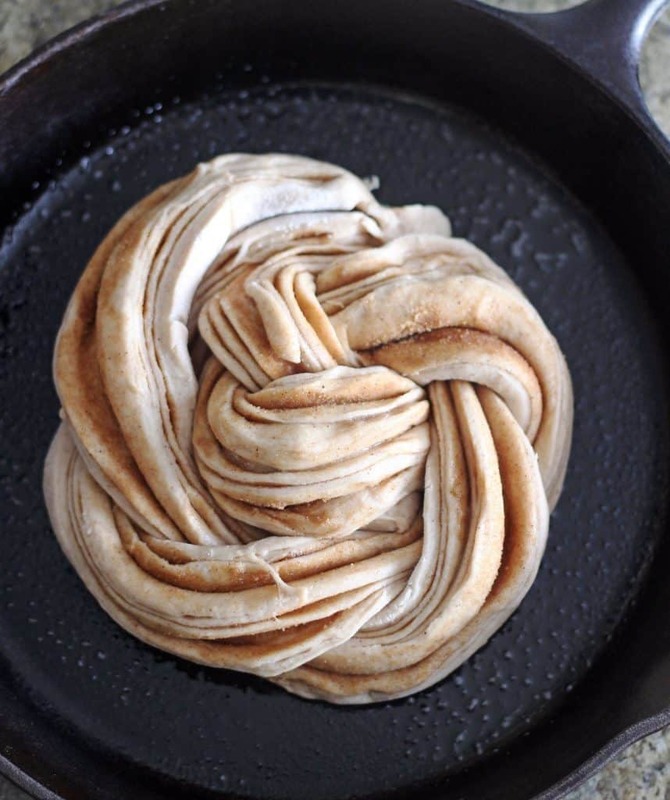 This Cinnamon Swirl Bread is easy to make, soft, lightly sweetened and simply delicious! Whisk milk, melted butter, granulated sugar, water, and yeast together in 2‑cup liquid measuring cup until yeast dissolves. Whisk flour, salt, and 2 teaspoons cinnamon together in bowl of stand mixer. Using dough hook with mixer on low speed, slowly add milk mixture and mix until dough comes together, about 2 minutes. Increase speed to medium and continue to mix until dough is smooth and elastic, about 10 minutes. (If needed, add 1 to 2 tablespoons extra flour if the dough is sticky, it should pull away from the sides of the bowl but stick to bottom.). Transfer dough to a lightly greased bowl, cover tightly with greased plastic wrap, and let rise until doubled in size, about 1 hour. Combine brown sugar and 1 teaspoon cinnamon in bowl. 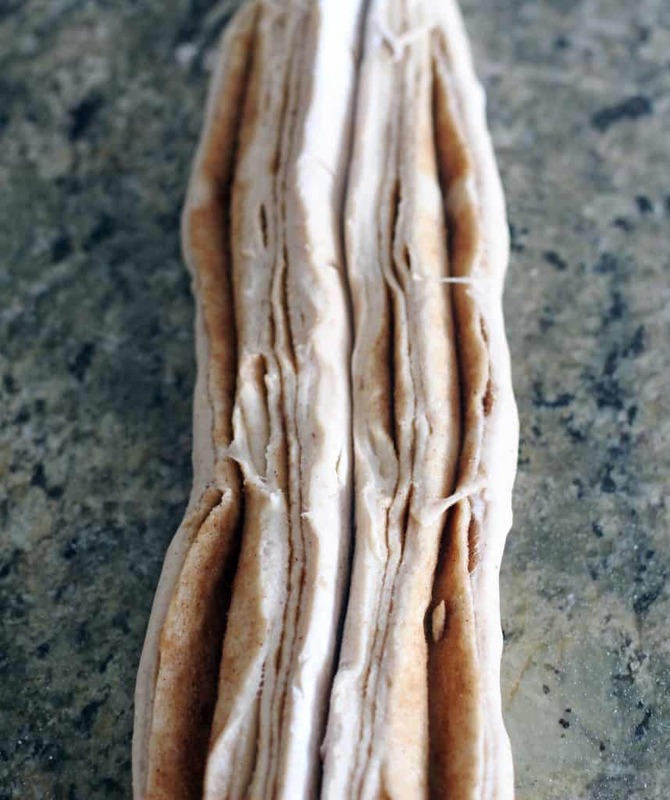 Transfer dough to lightly floured counter and roll into 16 by 12‑inch rectangle with long side facing you. 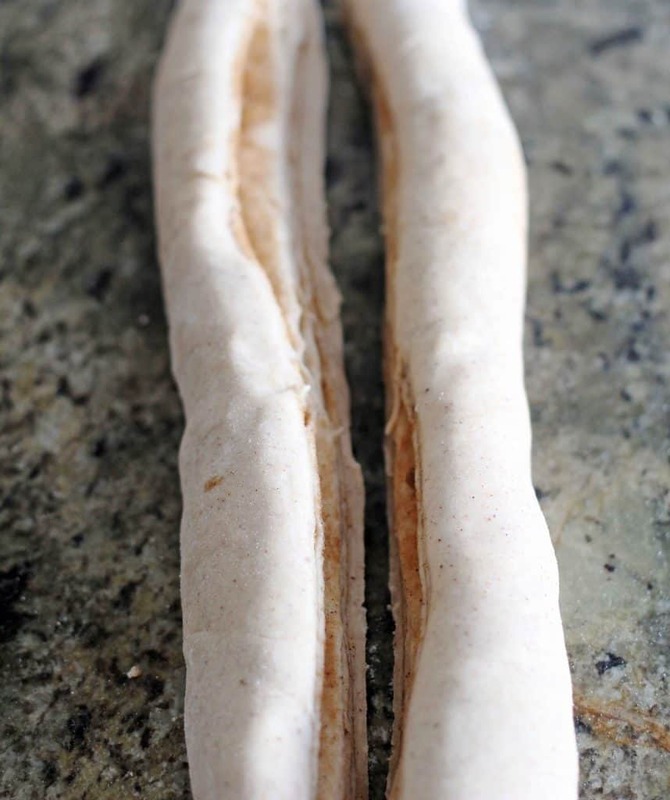 Brush the 2 tablespoons melted butter over dough, leaving 1/2‑inch border at edges. Sprinkle cinnamon-sugar mixture over butter, leaving a 3/4‑inch border at top edge, and press lightly to adhere. Starting with long edge, roll dough tightly. Pinch seam and ends closed. If necessary, gently reshape log to be 16 inches in length with even diameter. Grease a 10‑inch cast-iron skillet. With short side of dough log facing you, cut log in half lengthwise, using bench scraper. Turn dough halves cut sides up and arrange side by side. Pinch top ends together. Lift and place 1 dough half on opposite side of second half. Repeat, keeping cut sides up, until dough halves are tightly braided. Pinch remaining ends together. 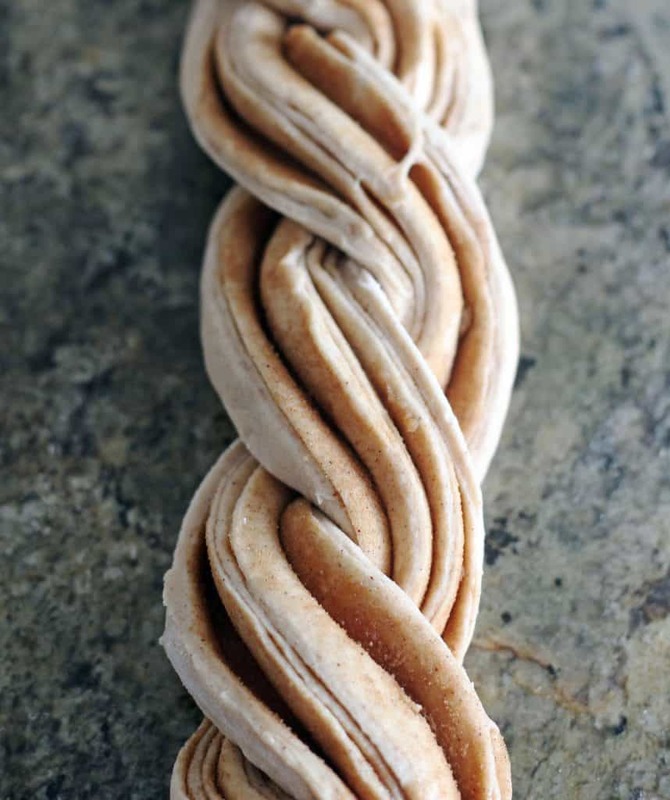 Twist braided dough into spiral and tuck end underneath. Transfer loaf to prepared skillet, cover with greased plastic, and let rise until doubled in size, 45 to 60 minutes. Preheat oven to 325 degrees. Brush the loaf with beaten egg and and bake until loaf is deep golden brown and filling is melted, about 45 to 55 minutes. Transfer skillet to wire rack and let loaf cool for 10 minutes. Remove bread from pan and let cool on wire rack. Carefully cut while still warm if desired, or wait until it cools completely. Note: If you don't have a cast iron skillet, you can use any 10-inch oven-safe skillet.